I haven’t been the biggest fan of personalizing the hats. Although I have always thought it was a great idea, I was never in love with how it looked so “handmade”. Some might say, that is why it looks so darn cute, but I am a perfectionist, and if I don’t love it, it’s not going anyplace! Well…I have been practicing, and I think I have managed to master one font, just one because I love the way this looks! 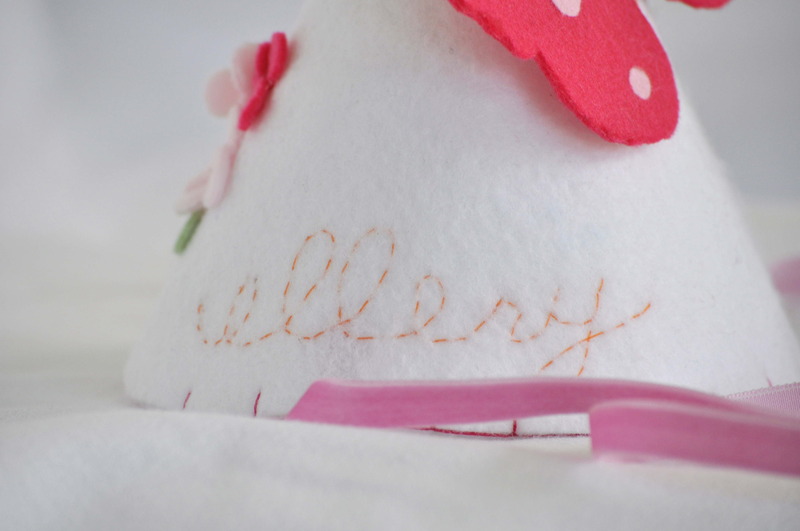 I am so excited to be included in another Etsy Treasury! Where the Wild Flowers Grow. This one, created by Bluebirdluxe listed so many beautiful items, including my Meadow Crown, I feel proud to have been included. Thanks Eileen! Super happy to have my Bees in the Garden hat selected as part of an inspration for this Sweet As Can Bee party. 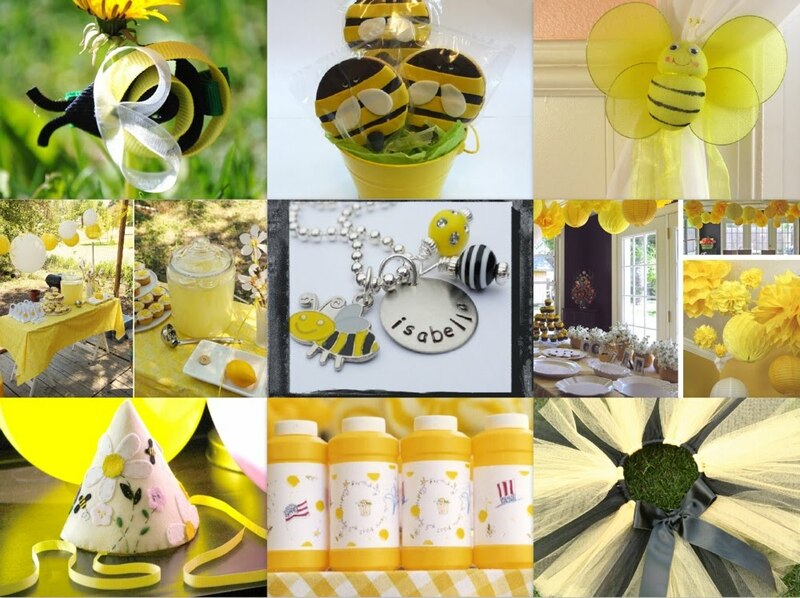 As Brandi stated bumble bees would be perfect for a party or a shower, boy or girl! 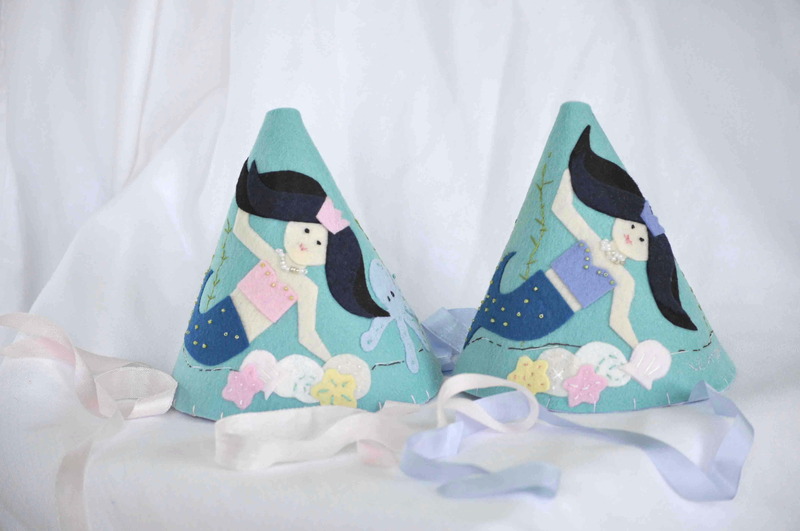 This one was created by Brandi at Tweedle Dee Designs, a great blog to find inspiration for your next party or shower. 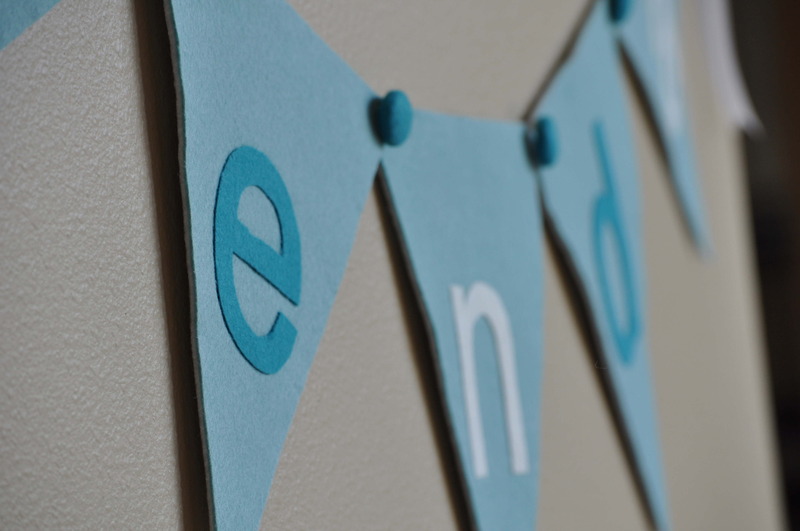 Not only does Brandi have a faboulous blog, she also has a Etsy Shop where she sells the cutest tutus, invitations, cupcake charms and lots more! Be sure to click over and take a look! Cupcakes and Ice Cream Cones! 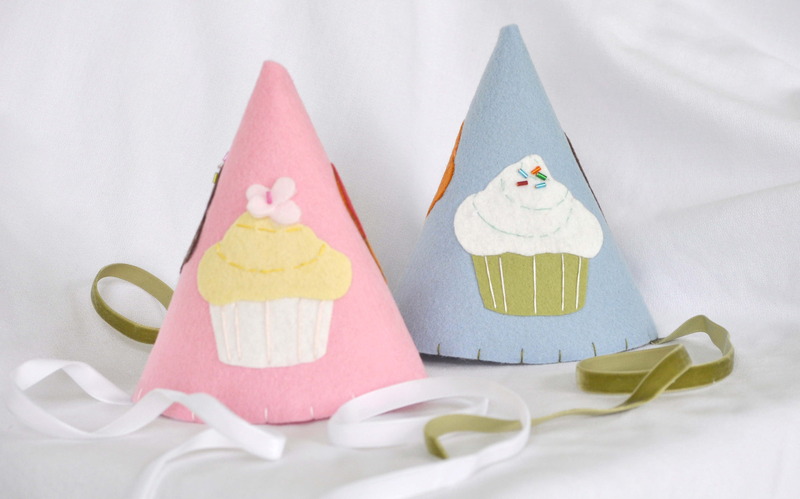 Can’t decide on whether you want a cute little cupcake, ice cream cone with sprinkles or perhaps a Popsicle? Well how about all 3?! Leslie selected the colors then handed over the wheel, and I created another really fun custom creation. This one was for boy and girl hats, with a coordinating “Happy Birthday” banner. I was thrilled at the way it all turned out, and I just love how it all goes so nicely together. I can’t wait to see the party pics! 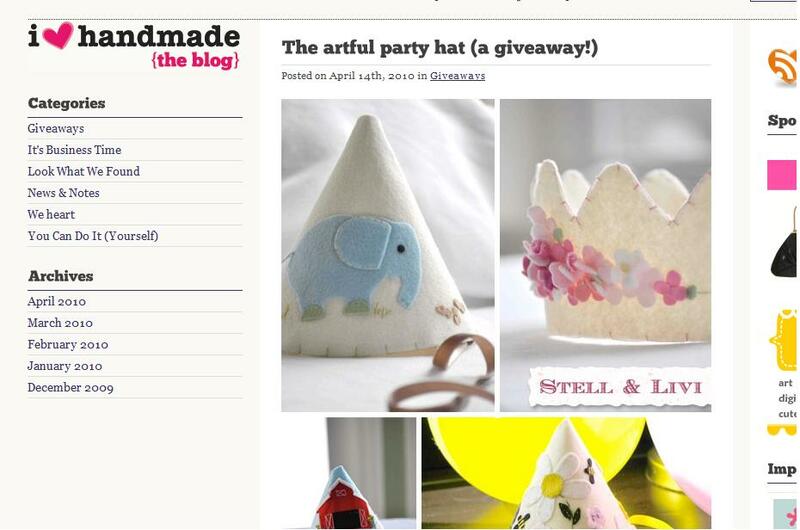 I really do “heart” all things handmade, and I love this site even more. Hand selected artisans are chosen to show and sell their goods in one a one stop shop. Stell & Livi was selected to participate in the April market and we could be happier about it! I am so happy in fact, that I am doing a giveaway! You select hat or crown, or we can create a custom hat together! 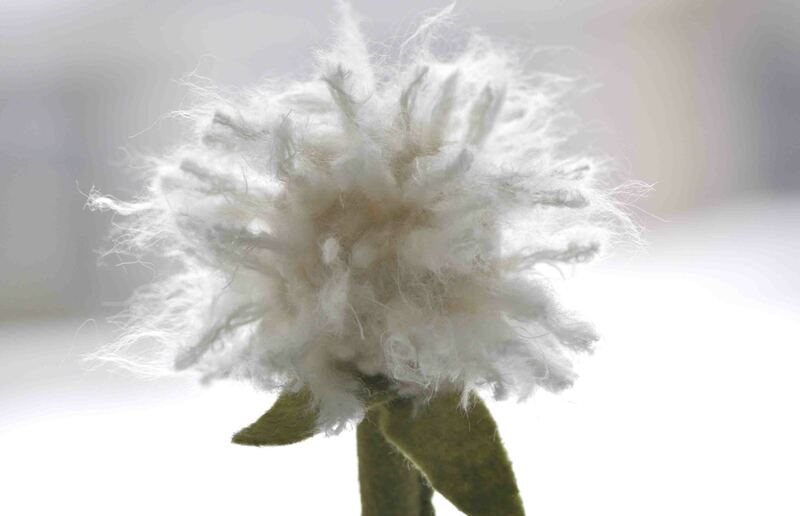 And…if you don’t win, I am still offering a 10% discount on all items for shopping the April Market! So everyone wins! 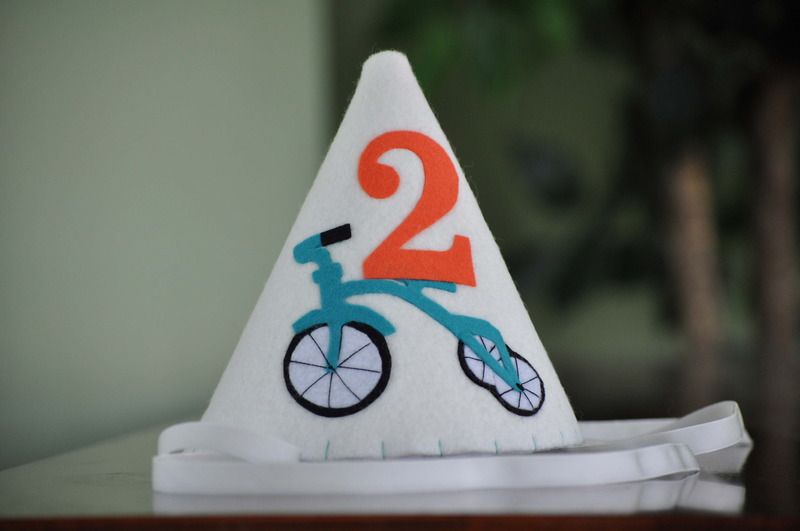 When Megan asked me to create a hat for Brendan’s birthday using his invitation I couldn’t resist the challenge. At first, I wasn’t sure how I was going to make it happen; how was I going to capture all of those those tiny details out of felt? But I did, and…I love it. This is such a wonderful theme for a birthday boy! I am so excited to see the party pictures. 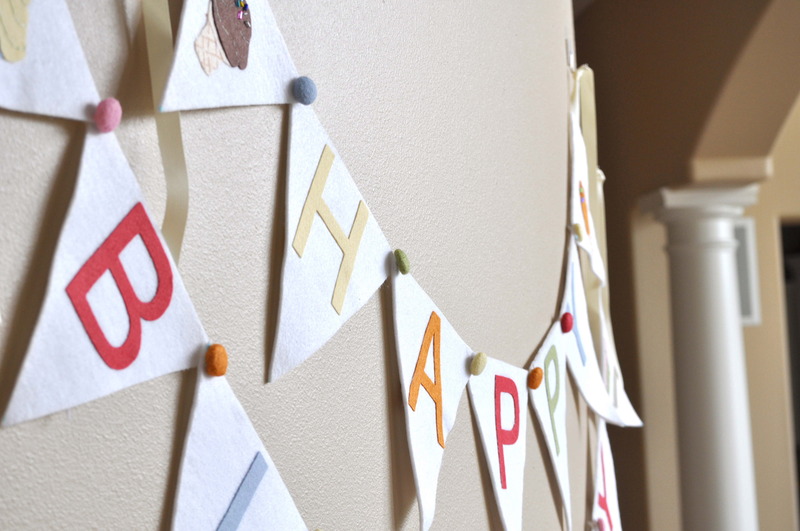 and don’t forget the bunting, which she is going to reuse in his bedroom after the party! I am always thrilled to see something that I created show up in a feature on a fabulous blog and Twist Entertaining is nothing less. Twist Entertaining brings you creative ideas, practical applications and useful tools to help you with your entertaining. I know I plan to keep them on my favorite’s center! 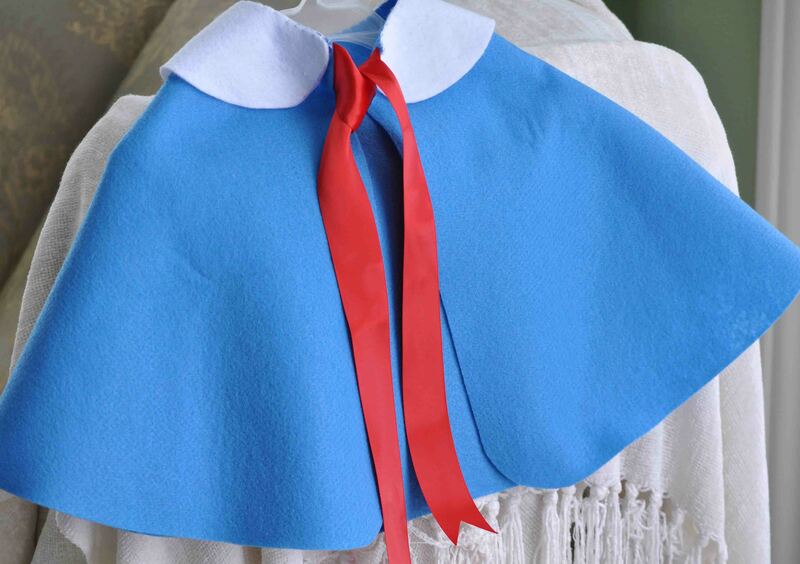 Although I didn’t plan the Madeline party, I did create the adorable capelets and pin the tail on Genevieve game that have been such a hit! 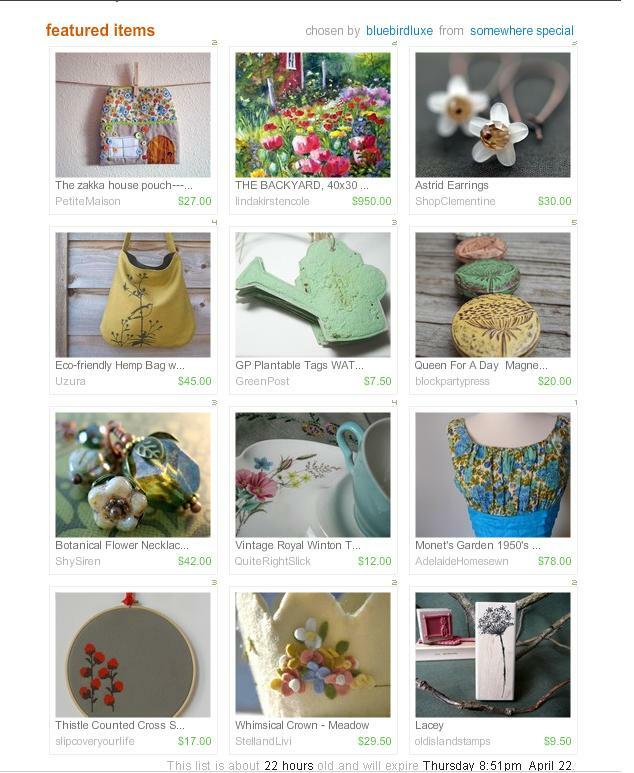 Etsy has a really cool feature called the Treasury! All of the Etsy members have the opportunity to hand pick their favorite items from the millions of listings on Etsy, add them to a list and display it for all how visit Esty. 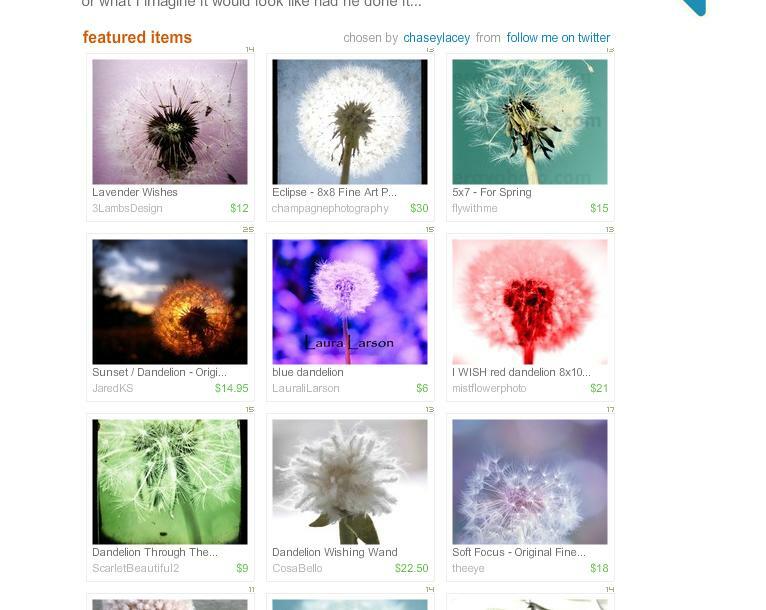 I am so honored to have been chosen for this fabulous Treasury – Andy Warhol Dandelions, by this awesome Etsy member.